1 BEFORE ANYTHING else existed, there was Christ, with God. 3 He created everything there is; nothing exists that he didn't make. 4 Eternal life is in him, and this life gives light to all mankind. 5 His life is the light that shines through the darkness; and the darkness can never extinguish it. 6,7 God sent John the Baptist as a witness to the fact that Jesus Christ is the true Light. 8 John himself was not the Light; he was only a witness to identify it. 9 Later on, the one who is the true Light arrived to shine on everyone coming into the world. 10 But although he made the world, the world didn't recognize him when he came. 11,12 Even in his own land and among his own people, the Jews, he was not accepted. Only a few would welcome and receive him. But to all who received him, he gave the right to become children of God. All they needed to do was to trust him to save them. 13 All those who believe this are reborn! ; not a physical rebirth resulting from human passion or plan; but from the will of God. 14 And Christ became a human being and lived here on earth among us and was full of loving forgiveness and truth. And some of us have seen his glory; the glory of the only Son of the heavenly Father! I have chosen the Living Bible paraphrase for this passage, because of its' frank directness. It is very clear; Jesus Christ created everything that exists! Nothing exists that He didn't make. Also, please notice that Jesus provides light itself! Light, as we will see in Genesis 1, must be created, and it was by Jesus himself. 29 Then Jesus told him, "You believe because you have seen me. But blessed are those who haven't seen me and believe anyway." 30,31 Jesus' disciples saw him do many other miracles besides the ones told about in this book, but these are recorded so that you will believe that he is the Messiah, the Son of God, and that believing in him you will have life. If you were to draw for yourself an imaginary world on paper, you could make it flat. This two dimensional world would exist from left to right, and from top to bottom, but would have no third dimension; that is, the dimension coming up out of the page. 6 That night; let thick darkness seize it! let it not rejoice among the days of the year, let it not come into the number of the months. Job here, by his own curse, has obscured the day of his birth. I believe that Jesus honored Job's request, and kept the exact history of when Job was born unclear. However, as we will see in Job 5:10, this is probably after Noah's Flood. 21 If their tent-cord is plucked up within them, do they not die, and that without wisdom?' These men arguing with Job are not without knowledge regarding God. Here, Eliphaz recognizes that without the "tent-cord" that connects us to God, we will die. Also, God's tent-cord provides us with our wisdom. What gives us our intellect and our appreciation of the infinity of God's power comes to us through the tent-cord. In other words, the essence of your being is far more than what merely fits inside your skull! 19 He will deliver you from six troubles; in seven there shall no evil touch you. 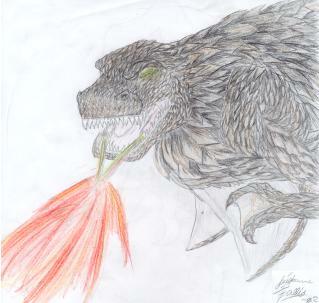 21 You shall be hid from the scourge of the tongue, and shall not fear destruction when it comes. 24 You shall know that your tent is safe, and you shall inspect your fold and miss nothing. 25 You shall know also that your descendants shall be many, and your offspring as the grass of the earth. 26 You shall come to your grave in ripe old age, as a shock of grain comes up to the threshing floor in its season. Eliphaz states here in verse 10 that "He gives rain upon the Earth". It probably never rained on Earth until after the flood (see Genesis 2:5), so this means that Job lived after Noah's Flood. 33 There is no umpire between us, who might lay his hand upon us both. Job states here in verse 6 "as common knowledge of the day" that Jesus can shake the Earth, and that the Earth had pillars. 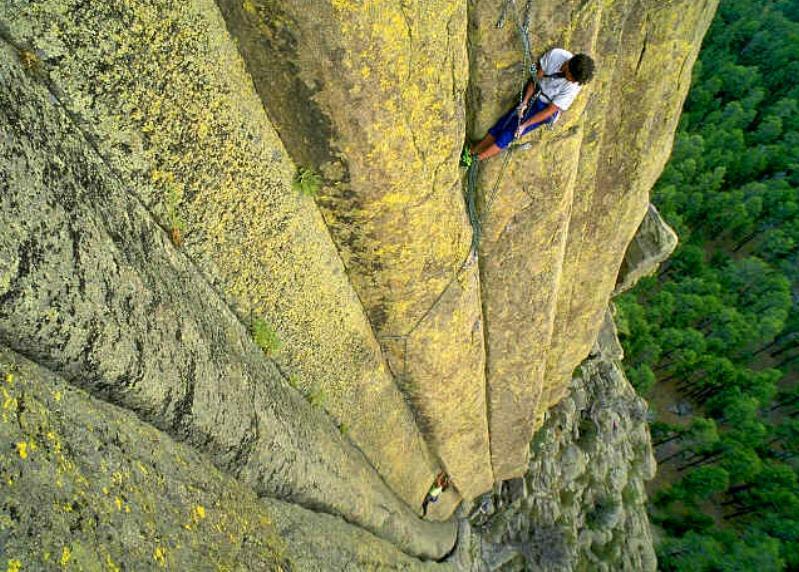 Notice the fairly uniform pattern of the Devil's Postpile above. 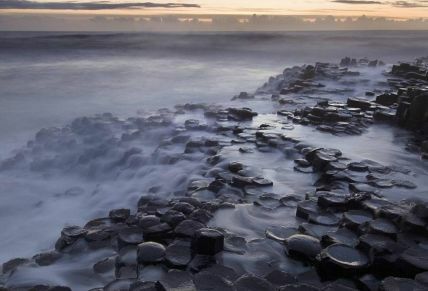 Could this be a remnant of a foundation of the earth? Did Jesus cut through this foundation to collapse the firmament called Heaven (note the cut scrapes on the rock), thereby causing the fountains of the deep to burst forth? 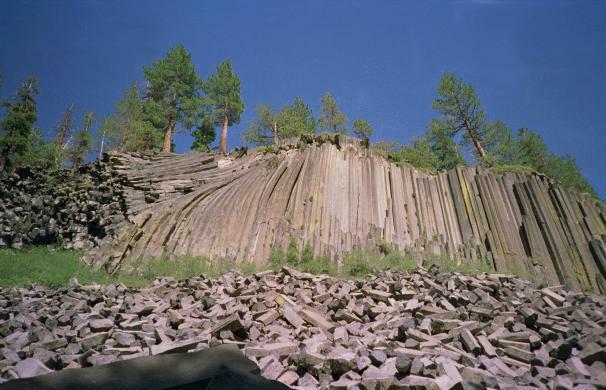 Click on the picture above to see the side view of the Devil's Postpile. 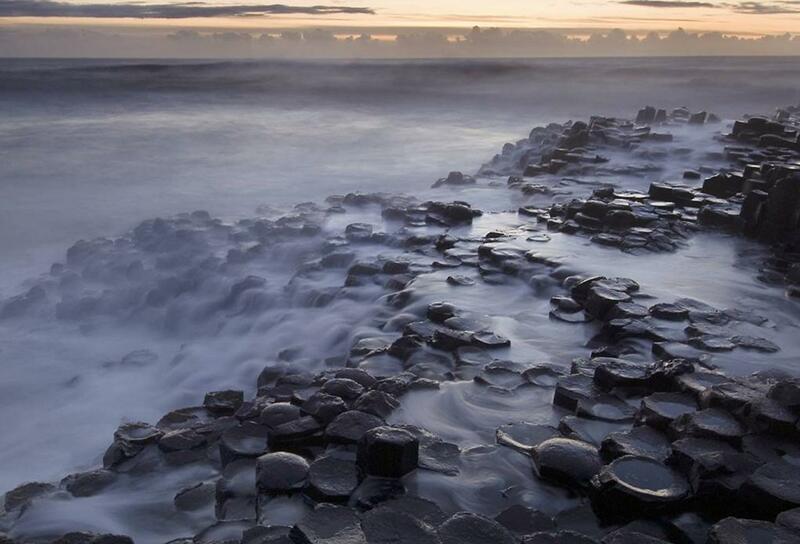 Here is a photo of the Giant's Causeway (Click for a Giant View here): Also see the Job 38 comments & photos too. 19 Even now, behold, my witness is in heaven, and he that vouches for me is on high. Job is aware that Jesus is his advocate, and that Jesus is in heaven. 27 whom I shall see on my side, and my eyes shall behold, and not another. My heart faints within me! Job knows that Jesus is coming to Earth, and that Job himself will be resurrected. This is pretty cool! 14 Lo, these are but the outskirts of his ways; and how small a whisper do we hear of him! But the thunder of his power who can understand?" Verse 14 is important to understanding Jesus' creation. In the last 100 years, our abilities to see the phenomenally complex details of His works are increasing, but still, we really have a tough time "understanding the thunder of His power". The full details of creation are truly beyond our comprehension. 28 And he said to man, 'Behold, the fear of the Lord, that is wisdom; and to depart from evil is understanding.'" Job observes that the road to true wisdom starts with a healthy respect for Jesus. 15 all flesh would perish together, and man would return to dust. Elihu affirms that nothing can live without Jesus' constant intervention. Perhaps there is a component of life that requires constant controlling. Perhaps this is something to do with our DNA, where DNA is simply the data for our "biological fingerprint", and the operating system for life is controlled from a dimensional plane beyond our perception. Drawing an analogy to the computer you are now using to read this from, your DNA would be like the computer's data, and Jesus' control over the essence of your life would be like the computer's operating system. 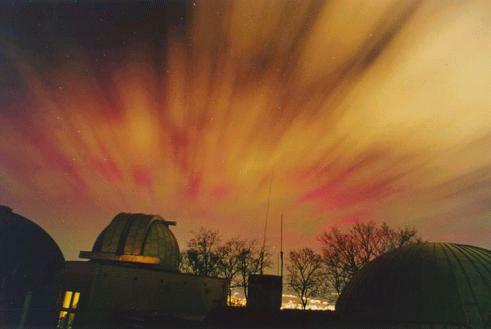 This example of a bronze aurora is from the Astronomy Pic of the day from 4-10-2000, and was in the northern hemisphere. Click on the photo to make the view larger. Elihu describes the wonderful capability of Jesus to "engineer the Earth". I believe that Job lived very shortly after Noah's Flood and at that time it was commonly recalled from parental stories that, before the flood, the sky was a solid bronze in appearance during the daytime. After the flood, it gradually faded to blue over a period of many years, as the magnetic field wound down. Why would this be? 29 From whose womb did the ice come forth, and who has given birth to the hoarfrost of heaven? 33 Do you know the ordinances of the heavens? Can you establish their rule on the earth? Job 38 is the oldest record of the direct words of God, and I believe are statements of fact, not figurative allegory. 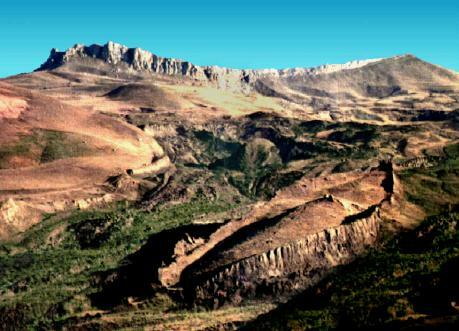 God asks Job about the foundations of the Earth. I believe these were literal foundations, as will become more apparent as we study Genesis 1:6-8. 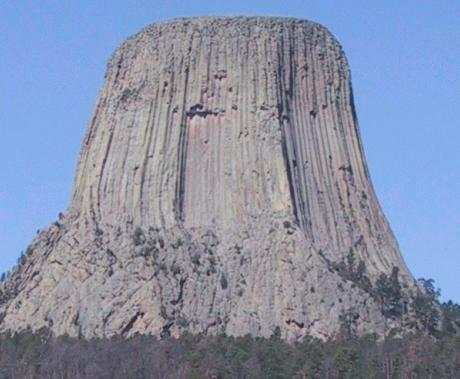 Click on the picture above to see a close-up image of the vertical texture of the Devil's Tower, a possible foundation. Another possible example would be from Monument Valley: Also see the sample photos in the Job 9 comments. 24 Can one take him with hooks, or pierce his nose with a snare? 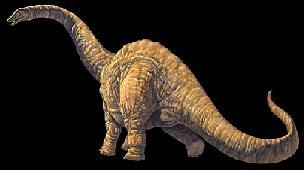 God describes what is commonly known as a brontosaurs. 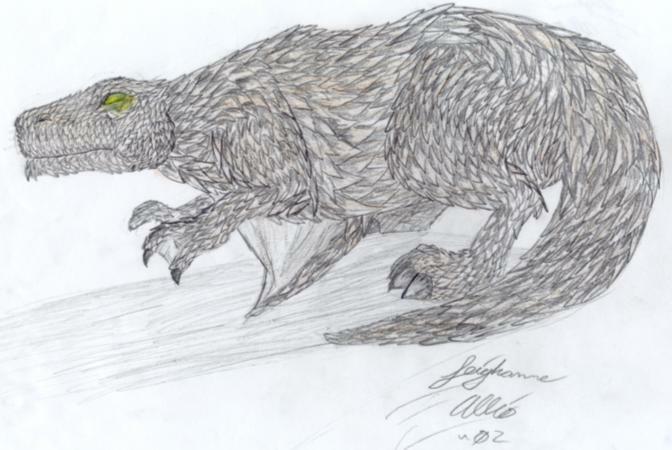 Both this creature, and the Leviathan described in Job 41, were obviously in existence for Job to have seen them. Notice that God says to "Behold, Behemoth". They are not looking at bones. 34 He beholds everything that is high; he is king over all the sons of pride." 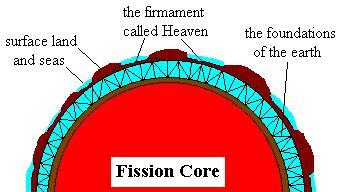 7 And God made the firmament (1) and separated the waters which were under the firmament from the waters which were above the firmament. And it was so. 31 And God saw everything that he had made, and behold, it was very good. And there was evening and there was morning, a sixth day. What an amazing thing! Light itself needed to be created! We know that light has a dual nature of being both a particle and a wave. Called Photons by Einstein in 1905, their particle nature appears to be in our three dimensional reality, while their wavelength and constant speed characteristics (regardless of the speed of the observer) seem to be driven from a fourth or more dimension that is beyond our three dimensions (see the Job 38 comments). Jesus writes the laws of the universe, and makes something we tend to think would just naturally occur anyway. It didn't just happen to be here; Light needed to be created! We know that the 6 days of Creation were actual days, because it is written "And there was evening and there was morning". This phrase is used to describe all 6 days. Only DAYS have an evening and a morning; huge periods of time, or an ERA, does not. 2 the sons of God saw that the daughters of men were fair; and they took to wife such of them as they chose. 3 Then the LORD said, "My spirit shall not abide in man for ever, for he is flesh, but his days shall be a hundred and twenty years." 9 These are the generations of Noah. Noah was a righteous man, blameless in his generation; Noah walked with God. 12 And God saw the earth, and behold, it was corrupt; for all flesh had corrupted their way upon the earth. 13 And God said to Noah, "I have determined to make an end of all flesh; for the earth is filled with violence through them; behold, I will destroy them with the earth. 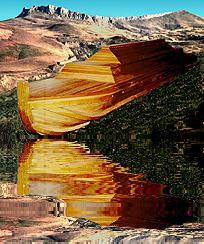 14 Make yourself an ark of gopher wood; make rooms in the ark, and cover it inside and out with pitch. 15 This is how you are to make it: the length of the ark three hundred cubits, its breadth fifty cubits, and its height thirty cubits. 16 Make a roof for the ark, and finish it to a cubit above; and set the door of the ark in its side; make it with lower, second, and third decks. 17 For behold, I will bring a flood of waters upon the earth, to destroy all flesh in which is the breath of life from under heaven; everything that is on the earth shall die. 18 But I will establish my covenant with you; and you shall come into the ark, you, your sons, your wife, and your sons' wives with you. 21 Also take with you every sort of food that is eaten, and store it up; and it shall serve as food for you and for them." 22 Noah did this; he did all that God commanded him. Why did God flood out the Earth? The Living Bible describes "evil beings from the spirit world" who took human wives and had hybrid human children; the Nephilim. Additionally, most of mankind had become evil (except for Noah). So, in addition to the flood needing to kill-off the Nephilims, God had to change the Earth to keep these "evil beings from the spirit world" from continually coming back and breeding Nephilim in such large numbers that they could not ultimately be wiped out. 11 In the six hundredth year of Noah's life, in the second month, on the seventeenth day of the month, on that day all the fountains of the great deep burst forth, and the windows (2) of the heavens were opened. 24 And the waters prevailed upon the earth a hundred and fifty days. 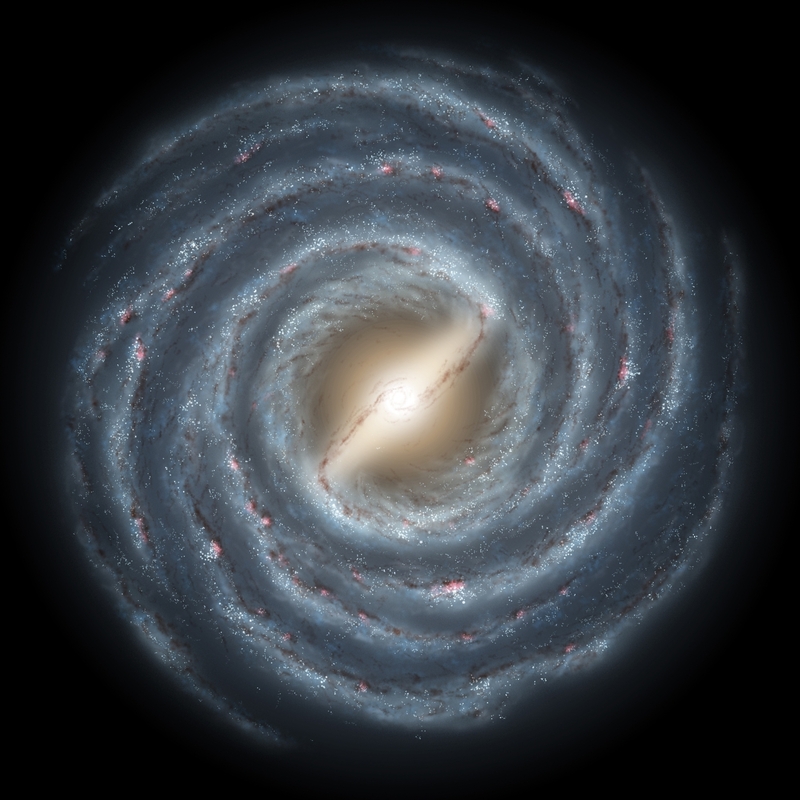 Our own Milky Way Galaxy is unlike any other in the Universe. A penetrating infrared census of about 30 million stars indicates that the Milky Way Galaxy is distinguished by a very large central bar some 27,000 light-years long. 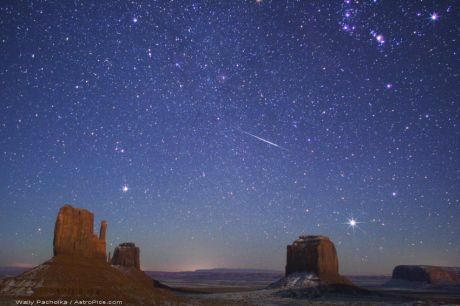 It is very likely that our unique appearance is due to us being the epicenter of the opening of the Windows of Heaven, when all the stars were both 1.) moved away from Earth & 2.) other galaxies were moved away from our own galaxy. This photo is from the 8-25-2005.Astronomy Pic of the day. 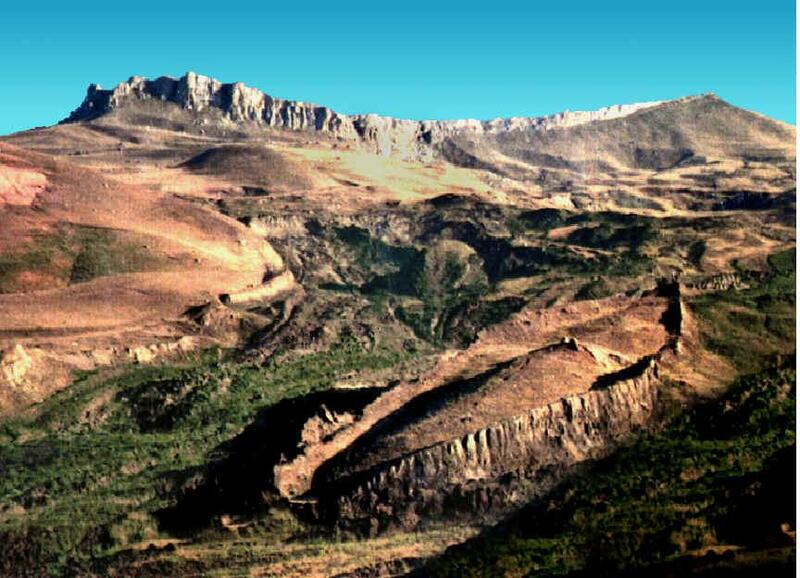 4 and in the seventh month, on the seventeenth day of the month, the ark came to rest upon the mountains of Ararat. 16 "Go forth from the ark, you and your wife, and your sons and your sons' wives with you. 17 Bring forth with you every living thing that is with you of all flesh; birds and animals and every creeping thing that creeps on the earth; that they may breed abundantly on the earth, and be fruitful and multiply upon the earth." 18 So Noah went forth, and his sons and his wife and his sons' wives with him. 19 And every beast, every creeping thing, and every bird, everything that moves upon the earth, went forth by families out of the ark. DISCLAIMER: I don't know if this really is Noah's Ark. 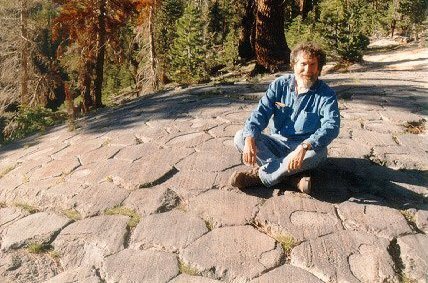 Other Ark Research Web sites (01, 02, CIA) don't think this "Durupinar" site (also known as the Wyatt site) is the real Ark. IT IS the only photograph available that looks like it could be Noah's Ark. 1 ALTHOUGH GOD'S promise still stands; his promise that all may enter his place of rest; we ought to tremble with fear because some of you may be on the verge of failing to get there after all. 2 For this wonderful news; the message that God wants to save us; has been given to us just as it was to those who lived in the time of Moses. But it didn't do them any good because they didn't believe it. They didn't mix it with faith. 3 For only we who believe God can enter into his place of rest. He has said, "I have sworn in my anger that those who don't believe me will never get in," even though he has been ready and waiting for them since the world began. 4 We know he is ready and waiting because it is written that God rested on the seventh day of creation, having finished all that he had planned to make.